Join a friendly community that welcomes students from all over the world, on the beautiful University of Stirling campus. A wide range of flexible programmes allow you to tailor your studies and follow a unique path to graduation and beyond. Top 40 university in the UK (Guardian University Guide 2019). Almost three quarters of the University's research is rated 'world-leading' or 'internationally excellent' (Research Excellence Framework 2014). 97% of undergraduate alumni are in employment or futher study within six months of graduating (HESA Destinations of Leavers from Higher Education 2017). 99% student satisfaction for feeling safe and secure (INTO Annual Student Experience Survey 2018). The modern INTO Centre on the University of Stirling's campus is where most of your learning will take place. If you need a quiet place to study or somewhere to work on a group project, there are so many study spaces for you to take advantage of here. The University of Stirling is situated in the vibrant, cultural and scenic city of Stirling in Scotland, UK. Stirling is a wonderful place to live and study, voted the safest city in the UK (The Complete University Guide – 'How Safe is Your City?' 2017). Rich with culture and surrounded by beautiful, dramatic countryside, the city centre is less than two miles from campus – just a 15-minute bus journey away. Here, you'll find stunning architecture, great shopping opportunities and plenty of entertainment options. As the city is so close to the countryside, Stirling is the perfect choice for adventurers. 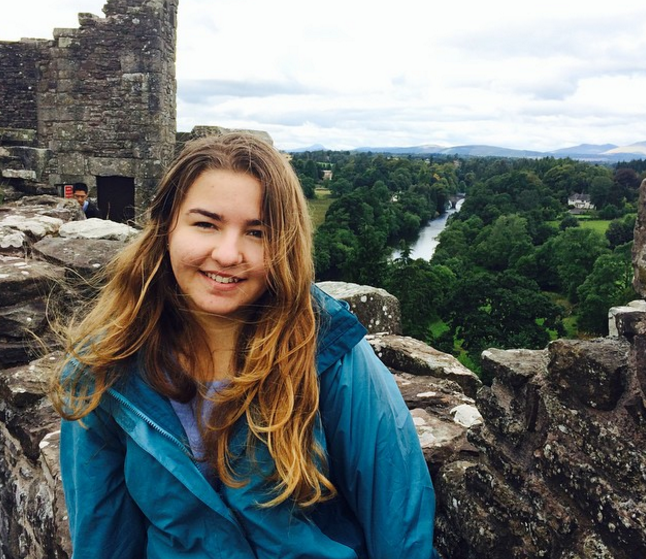 Psychology student Meryem from Turkey, who recently completed her studies at INTO University of Stirling blogs, about why she loves studying in Scotland. Worried about studying in the UK? There’s no need to be! Our dedicated teams are on-hand every step of the way. From helping you set up a bank account and renewing your visa, to support with your university applications, you name it – we can help! They have drop-in sessions after every class, so if you don’t understand anything you always get support. I took advantage of these for my Maths module a lot, they give me such helpful tips…and I ended up with 90%! I was really happy about it. The staff make it more like home here and we’re supported like a family. If you need any academic help or if you're homesick you can go to them, they're more than willing to answer your problem. Live alongside both UK and other international students in a choice of on or off-campus residences. Shared living areas are the perfect place to relax after class, and why not cook meals from home for your friends in the shared kitchen?